﻿ Pinehurst Suites, Legazpi | FROM $38 - SAVE ON AGODA! "Pinehurst Suites is strategically situated in Legazpi City a..."
Have a question for Pinehurst Suites? "Serene (despite its location, the place is quite and perfect to relax);"
"Location (very accessible from airport to Daraga and Legazpi..."
Situated in Sagpon, Pinehurst Suites is the perfect place to experience Legazpi and its surroundings. From here, guests can enjoy easy access to all that the lively city has to offer. This modern hotel is in the vicinity of popular city attractions such as JY Minimart, Tanchuling Hospital, St. Raphael Church. At Pinehurst Suites, the excellent service and superior facilities make for an unforgettable stay. Daily housekeeping, 24-hour security, free Wi-Fi in all rooms, luggage storage, Wi-Fi in public areas are just a few of the facilities that set Pinehurst Suites apart from other hotels in the city. The hotel features 18 beautifully appointed guest rooms, many of which include internet access – wireless, air conditioning, desk, balcony/terrace, television. Besides, the hotel's host of recreational offerings ensures you have plenty to do during your stay. When you are looking for comfortable and convenient accommodations in Legazpi, make Pinehurst Suites your home away from home. "It was perfectly located for our purposes." If you want to go to Cagsawa Ruins, Kawakawa Hills, or Legazpi City (Centro), you can ride a jeep from there since the hotel is along the highway. Also, the place is clean. It is perfect for couple and backpackers. However, when we stayed, there was blackout for 2 hours... there were no generator intended for the rooms, only for the hallways. It's a nice condotel in Legaspi, near to restaurants and Robinson's supermarket. jeepneys going to malls and daraga/sorsogon passed by here. This is good for backpackers or people on the go. But if you have suitcases, this is not for you as it is difficult to get a tricycle that will take you to the airport. 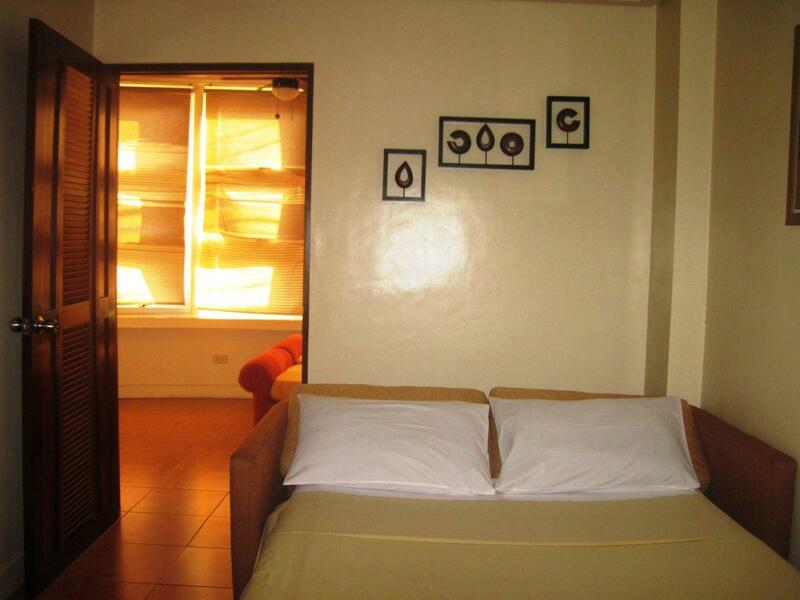 Pinehurst Suites is strategically situated in Legazpi City and accessible to transport, malls, church and restaurants. The condo owners are accommodating. I would just like to suggest to include water, both hot and cold in the room as part of their amenities. This is one that is lacking in the room. And also, I suggest they provide all the is due to the guests e.g. soap, shampoo, etc. and not wait for the guest to ask for it. It was very unfortunate that during my stay, there was an intermittent power interruption that made an inconvenience in staying inside the room. One thing that is also good in the place is Mayon Volcano can be spotted from my room which is a very pleasant view. I hope when I come back in Legazpi City, Pinehurst Suites will have its improvement in terms of amenities for I see it as an accommodation with a great future. You will safe because of their biometrics scan in the entrance. The owners were friendly. They gave as an option to have our allocation of bfast for dinner since we are leaving early morning on the next day. 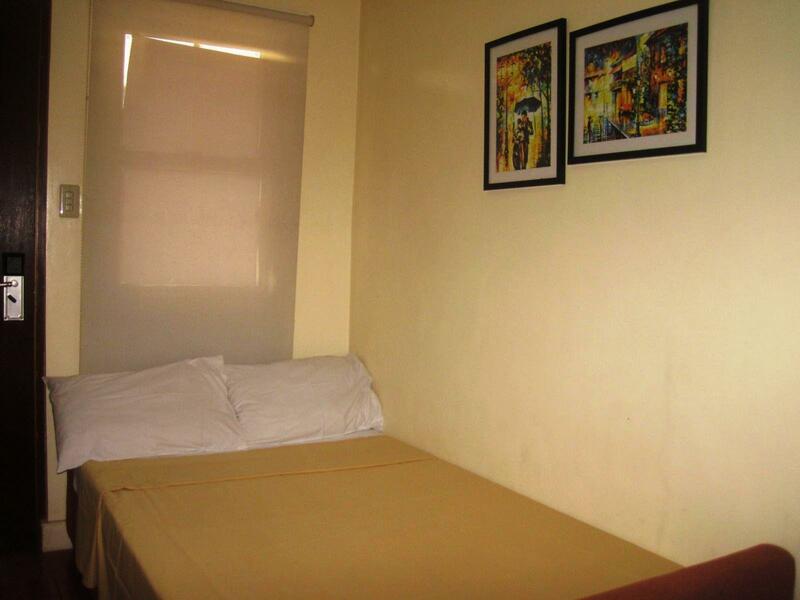 PROs: breakfast is included, staff/owner is accommodating, clean place, location is near Legaspi & Daraga. Accessible to jeepneys & tricycles. Near the airport. Value for money. CONs: no internet in the bedroom, have to go out in the balcony to get a signal. We never reached the place, had to cancel my booking. No wifi and the cable for the tv but its not really a big deal for me since we are out the whole day and we just needed a place to stay at night. The place is very accessible to public transportation. They provide toiletries and towels and they serve Jollibee products for breakfast. will still consider booking this place again. The location is very good. It is near the tourist spots in legazpi. You have an easy access to the public transportation too. Their breakfast is Jollibee. Yay! The staff are very helpful and accomodating. Their rooms are basic. It's not fancy and may not be appealing to some, but you get what you pay for. This hotel is good for those who are looking for a budget room at a prime location. very accessible to all kinds of tourist destination and malls like cagsawa, sumlang, ayala etc., It is an apartment type of hotel, no frontdesk but you can call the owners in their rooms if you need something. Room is ok for the two of us. aircon is good as well as the water. overall experience is excellent! This was a great place! View of Mayon volcano from the roof, breakfast delivered to the door, hot water and the owners are some of the friendliest Filipino people we met in three weeks, all at a bargain price almost directly opposite the jeepney stop to the bus station. 10/10! First of all, although the location is quite far from any bustling activity, there are jeepneys right in front of the building that can take you anywhere in the city and beyond. It is also important to note that this is not strictly a hotel, but more like an apartment hotel. There is no lobby to speak of. You have to knock at the steel door on the left side of the building. The room is a studio unit, with a "balcony", which is more like an airwell. The bed is too soft for my taste, but other people might like it. It just so happens that I like to sleep on hard and rigid mattresses.The toilet is clean, and water pressure in the shower is strong plus you can control easily the heater, which was working great. They do have a bare kitchenette, which is actually a waste as they could have put at least a microwave oven there. But perhaps they do not like people to eat there as, lets face it, there are a lot of irresponsible guests who could make a total mess of the room. The staff, well, if you can call them that, are helpful and accommodating. Actually, I think it is just the owner and his helper. And of course, the jollibee breakfast is a big bonus. I love how all jeepneys pass through the street where it is located because I got lost a lot when I went to Legazpi. It is a little bit far from the city center which is fine because the places I went to were mostly outside Legazpi. Staff were accommodating. I arrived at around 8 am, a couple of hours befire check in time. They asked me if I'd like to take the room without TV in it. It was fine with me so I got to rest a bit before getting lost in Legazpi in the afternoon. The bathroom was clean, the bed though is a little bit uncomftabe. The food... well, I love Jollibee so... Yeah, I loved it. I just wish there was some sort of table and chair set up though since they were offering food for breakfast and there is no dining hall anywhere in the building. Room was small as well as the bed but it was clean and nice place to stay. CR has H&C water and clean. secure door. Great place to stay for the price.. Staff & owner of the place was very accommodating. thank you, guys! Pinehurst is a nice place to stay when in Legazpi. The place is neat clean and accessible. The place is also quiet and has a homey ambience. Come with free breakfast and a reliable staff. I just hope there was a bidet. Booked this hotel for our guests. The location is very good. Easy to take the jeepney to Legazpi or Daraga. It's quiet and clean. Furnished with the basics and provides Jollibee breakfast daily. Great value for money. The place is good, near the city center and major attractions. The staff is always ready to assist. But choose a room away from the highway to avoid the noise of vehicular traffic. Our gripes: No water heater; (We think it's basic. We can't survive without coffee.) and slow internet. (What can you expect from the service providers in the Phils?) But overall, a very comfy and nice stay!